At last someone in authority has joined the North West Raptor Protection Group in speaking out about the wide scale persecution of birds of prey that has been taking place in the Forest of Bowland for at least five decades. We are pleased to republish the statement made on the 7th November by the Chair of the Forest of Bowland AONB who has now followed the Yorkshire Dales National Park, the Chair of the Nidderdale AONB, and the Peak District National Park Authority. At last this may be the beginning of the end for Driven Grouse shooting if the shooting industry do not put their house in order. Mallowdale grouse moor, part of the Abbeystead estate overlooking the Lune valley. Within the last 6 years 7 peregrine territories have been recorded as abandoned on this estate owned by the Duke of Westminster. In addition since the estate was purchased by the Duke following the death of Lord Sefton, no less than 12 pairs of Hen Harriers have disappeared. 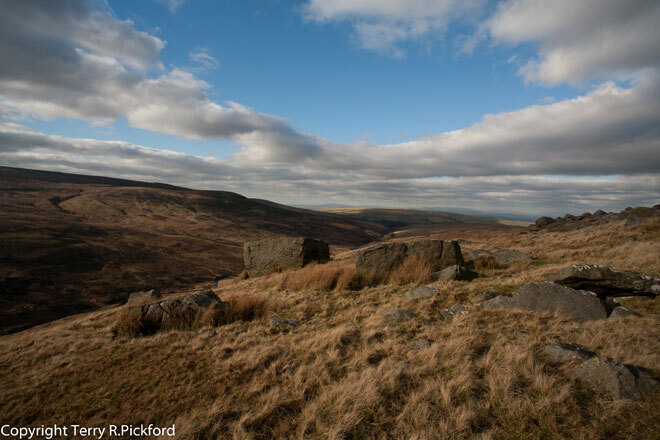 The Forest of Bowland AONB is an important area for the birds of prey that we associate with the English uplands, such as hen harrier, peregrine, merlin and short-eared owls. However, the RSPB Birdcrime Report 2016 published last week highlights how some of these iconic species continue to be the subject of illegal acts of persecution throughout much of England and particularly the northern uplands. If you wish to report any crimes against wild birds, we would suggest contacting the police by calling 101. Dear Forest of Bowland AONB, we apologise for the misunderstanding, your wishes have been carried out. Birds of Prey are no longer synonymous with the Forest of Bowland. Why? because there are none of the apex predators to actually enjoy watching, as this is far far too late. The gamekeepers are the biggest threat to these raptors, as reported decades ago, though it was not acted upon. That said, there might be one positive way forward and that is for RSPB, all Raptor Protection Groups, Natural England and Independent Birders to realise that they are all on the same side and if there are any arguments or past problems then they need to be buried and even any attempted nest sites need to be shared amongst eachother in order for everyone to help watch and protect these iconic birds. Will that happen? I don’t know. Editor’s Comment. We totally agree with your sentiments listed within your two paragraphs. The infighting must now be ended and all raptor groups must begin to work closely together, as must the RSPB if the killing is to be halted. Unless this happens the raptors will be the loser in the end. It’s great they are finally even acknowledging there is a Big problem with Raptor Persecution,it’s a small step in the right direction.Still a very long long way to go,but it is encouraging. Editor’s Comment. Brian, it seems very curious to us that these statement have been left so late, why was something not said and done many years ago? As raptor has stated, the raptors that once flourished throughout Bowland have, all but two pairs of peregrines, disappeared following decades of persecution by gamekeepers. It is now time for everyone to come together and put past disagreements aside. The RSPB should start the ball rolling bringing everyone together to discuss the way forward, putting aside politics. Good to hear this. Why haven’t United Utilities banned Grouse shoots from their land yet? When they clearly are operating illegally. Although the usual subject of this blog matters greatly to those who read it, believe it or not there are more important things in life. Wars,long industrial disputes, the troubles in Northern Ireland, etc etc.,all these and more have ended with discussion and compromise. Even if people feel that their point of view is not universally accepted, and a victory cannot be claimed, a line has to be drawn for the greater good. I have always been clear in my support for the views of the NWRPG, but this is my last word on the matter, and everyone else should think seriously about coming to the same decision. Trapit what are you going on about? Yes there are more important things in life than raptor persecution, of course. Who is arguing otherwise on here? No one. But that doesn’t mean that we should allow and overlook a lesser evil and only address the greater evils. We have a legitimate responsibility to conserve our wildlife and not ignore it’s destruction just because there are more important things. With that attitude adopted there would almost be a complete elimination of raptors in Britain. Adam,I apologize for misleading you. supposedly existing to protect Raptors in Bowland. Suggesting, as previous comments had done, that they forget their differences for the sake of the birds,and start talking in a civilised manner, instead of slagging each other off,hoping to score a few points. As I stated,if far more important issues can be decided in this way,there is no reason for not trying in a case like this. Others may wish to continue scoring points, but this is my last word on the subject. Editor’s Comment. Trapit we totally agree. If raptors are to return to breed successfully in the Forest of Bowland, we must all work together and forget the differences of the past, otherwise the Bowland will remain a raptor free zone. Trapit thanks for the explanation and apologies, I agree and agree with the editors comment in reply to you.